I was 14 back then with no local skate shop so getting my hands on a copy took a bit of work each month and usually involved a train journey. 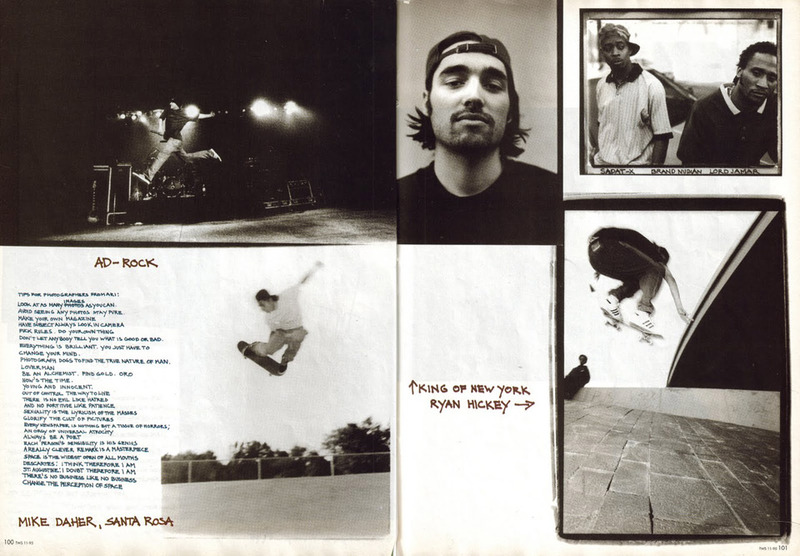 Commercially, the mid nineties skate industry was in a slump but the lo-fi D.I.Y ethic of the (mostly skater owned) companies just added authenticity to the whole thing. When people are doing something for love rather than money, those scenes quickly attract and assimilate like minded individuals, equally interested in and open to doing their own thing. 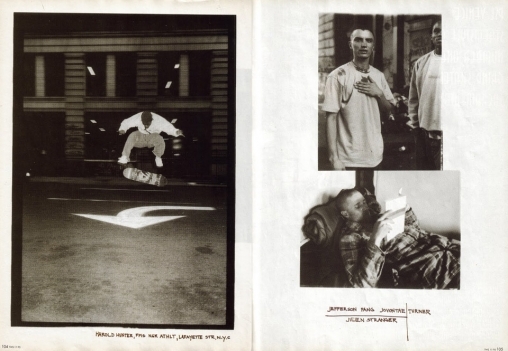 That attitude combined with the lack of any significant corporate presence made certain skate magazines of the era a hot bed of interesting graphic design, photography and art in general. 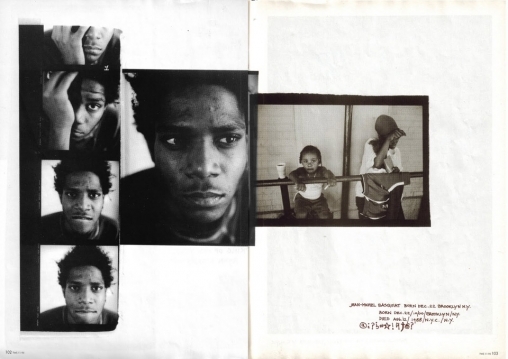 I want to share this Ari Marcopoulos feature in particular because it inspired me to purchase my first SLR and go on to study photography at College a few years later, but also because of the way it basically sums up a lot of what felt so visceral to me at the time… people just doing their own thing. You can click on each of the images above for a bigger version but if you’re struggling to read the text or would like a better look at the photos, I’ve uploaded some slightly higher resolution scans here. Posted in Culture, Design, Fine Art, Photography, Skateboarding.